Согласовано на заседании цикловой комиссии общих гуманитарных и естественно-научных дисциплин, протокол от 29.05 2012 г. № 10 . Английский язык: Учебно-методическое пособие для студентов специальности 250110 – Лесное и лесопарковое хозяйство/Сост. М.В.Воронина – Красные Баки: КБЛК, 2012 – 65 с.
Предназначено для организации аудиторной и самостоятельной работы студентов очной и заочной формы обучения по специальности «Лесное и лесопарковое хозяйство». Содержит тексты актуальной тематики и краткий грамматический справочник. В современном мире всё активнее используются информационные технологии и компьютерные коммуникации, поэтому необходимы специалисты, обладающие не только компетенцией в сфере своей профессиональной деятельности, но и имеющие высокий уровень коммуникативной культуры на иностранном языке. В связи с расширением международных контактов обучение иностранным языкам становится обязательным компонентом формирования их профессионализма. При этом особое внимание уделяется английскому языку как языку международного общения. В настоящее время изучение английского языка студентами лесохозяйственных факультетов колледжей и техникумов осложняется ввиду отсутствия современных учебников, раскрывающих основные тенденции развития лесного хозяйства в мире. Цель данного учебно-методического пособия – способствовать приобретению студентами коммуникативной компетенции, уровень которой позволит использовать английский язык, как в профессиональной деятельности, так и для целей самообразования. Настоящее учебно-методическое пособие предназначено для студентов лесных техникумов и колледжей очной и заочной формы обучения, а также может быть рекомендовано для всех лиц, желающих повысить уровень владения английским языком. Данное пособие рассчитано примерно на 32 часа работы в аудитории и ориентировано на тех, кто имеет базовую подготовку по английскому языку. Пособие представляет собой комплекс тем, освещающих науку о лесе, мир флоры и фауны, проблемы экологии и окружающей среды, а также краткий грамматический справочник. Каждый текст, назначением которого является обучение чтению специальной литературы, сопровождается письменными и устными лексическими и грамматическими упражнениями, направленными на определение охвата его общего содержания и выявление его более детального понимания. Дополнительные тексты для ознакомительного чтения направлены на активизацию грамматических структур и общественной лексики, развитие навыков профессионального обучения по изучаемой тематике. Материалы для чтения и аудирования представлены адаптированными текстами из разных источников. Scientific potential of the Federal Forest Service of Russia is presented now by 10 recent institutions situated in different regions. 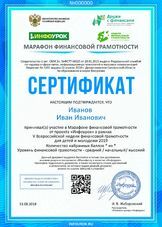 In addition, forestry - oriented research is carried out in the institutes of the Russian higher schools. 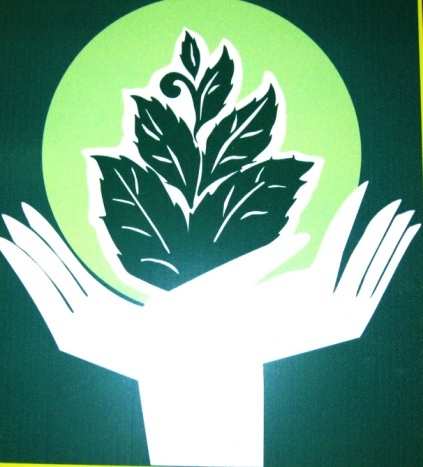 The key directions of scientific research comprise scientific principled of multi-resource forest management; optimization of development, allocation and organization of multi-purpose forestry; development of ecologically safe methods of forest management; improvement of methods for prediction and control of forest fires, foci of pests and diseases; development of systems for scientific and information support of forests management. Scientific research is carried out in the institutes of the Russian higher schools, isn’t it? What are the key directions of scientific research? Trees, being plants, fall into the botanical classification system of taxonomic groups – divisions, classes, orders, families, genera, and species. Hardwoods are included in the class called angiosperms, while softwoods fall in the class called gymnosperms. 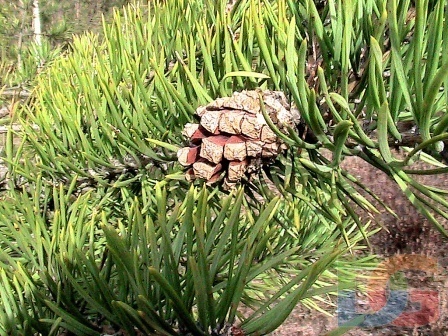 The gymnosperms are divided into seven orders, one of which is conifers which includes all commercially useful softwoods. The angiosperms are further classified into two sub-classes of Monocotyledonous and Dicotyledonous. Hardwoods of commercial importance belong to the Dicotyledonous sub-class. 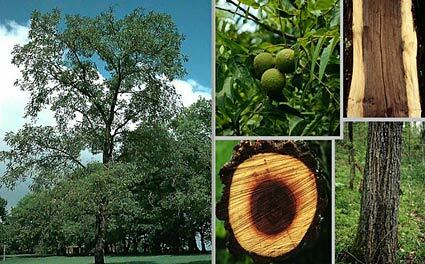 Trees, as well as other plants, are referred to most precisely by scientific names, which are composed of their genus and species: black walnut, for example, is JUGLANS NIGRA L. However, the common name (black walnut) is sufficient for most practical purposes. The initial following the scientific name denotes the scientist who named the plant, in this case Linnaeus, a Swedish botanist. 1) What taxonomic groups of botanical classification do you know? 2) What Swedish botanist do you know? 3) Are the angiosperms classified into three sub-classes? 1) The gymnosperms are divided ____ seven orders. 2) Hardwoods are included ___ the class called angiosperms. 3) Trees are referred ___ most precisely ____ scientific names. botany, classify, divide, commerce, taxonomy. 4. Подберите эквиваленты к словам, обозначенным цифрами. 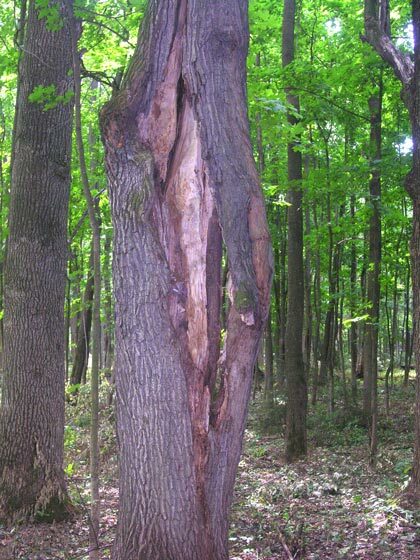 Most trees can grow in height and width sending out shoots formed by new wood cells. They grow in height at the terminal bud of the main stem. 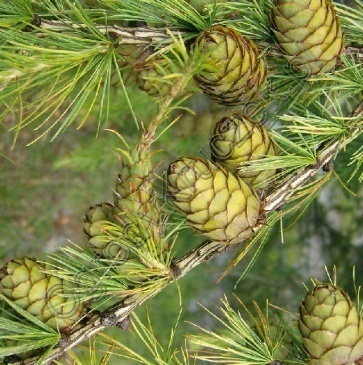 The “candles” of the pines are known to be the evidence of a new growth. A tree also grows in thickness (or in girth) adding coats for new wood cells. Wood layers thus developed are called annual rings. Once formed, annual rings remain unchanged in size or place they are located in. The rings could be clearly seen on the cross-section of a tree trunk, pith is in its center. The wood section next to the bark which is often lighter than that in the center is called sapwood. It is a part of living wood through which the water taken up by the roots of a tree can pass on to the crown. Over a certain period of time sapwood is gradually substituted with heartwood due to infiltration of the chemical substance and some certain changes in the nature of cell walls. So wood becomes darker in colour and nearly lifeless. Heartwood serves to support the living parts of a tree. That is why hollow tress may still flourish and bear fruit. The cells located between the bark and the last sapwood layer give a start to a cambium layer (true cambium). The inner side of the cambium layer can give a start to new wood growths. As for new bark it is develop from the outer side of the cambium. There is another kind of cambium which forms the outer corky bark. Like the true cambium layer, cork cambium may start a tree or form separate bark films in case older layers located nearer to the wood body are dying out. Trees can bear flowers and are reproduced by means of seeds. When the tree enters its long winter rest, it has the next year buds already formed. The buds expand and grow until they finally open into flowers or leaves in spring. Some trees, as the elm and the red maple, blossom and set fruit before the leaves open. Other trees wait until their leaves are party grown to produce blossoms, while some others, such as the chestnut, do not flower until early summer. Some trees mature their seeds rapidly to scatter them early in spring. Most trees provide great quantities of seeds and their winged seeds are easily scattered by the wind. Having fallen from the tree to the ground, only one seed out of the thousands can take a root to start a new tree. 1.Подберите эквиваленты к словам, обозначенным цифрами. 2. Подберите эквиваленты к словосочетаниям, обозначенным цифрами. cambium layer, terminal bud, heartwood, flowers, scattered. The function of the _____ is to support the growth of a tree. Seeds of many trees being winged are easily ______by the wind. Trees like many other plants bear _____and reproduce by means of seeds. The growth in height is made at the _______of the main stem. What are called annual rings? Which way are the seeds scattered? Do some trees blossom and set fruit before the leaves open? 1. Corns have been carried away by birds and small animals. 2. The growth in height is made at the terminal bud. 3. Around the pith there is the ring formed in the first year of the tree growth. 6. Составьте план к тексту. 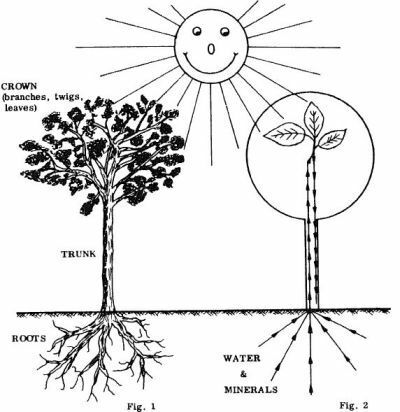 Roots serve to anchor and supply trees with water and essential mineral salts. The young roots furnishing water and nourishment from the soil, the older ones hold the tree in place. The roots are classified into surface roots and tap-roots, depending on their shape and the depth they go into the ground. Some trees, as the birch or the spruce, have surface roots, the others have tap-roots only. As for the roots of oak or walnut they can to a great depth if the land is too dry. Most of the trees like the maple or ash are known to have two kinds of roots. A stem (it is also called a trunk or a bole) supports a crown and supplies it with water and mineral substances. A tree stem consists of outer bark, inner bark, cambium, sapwood, heartwood and pith. 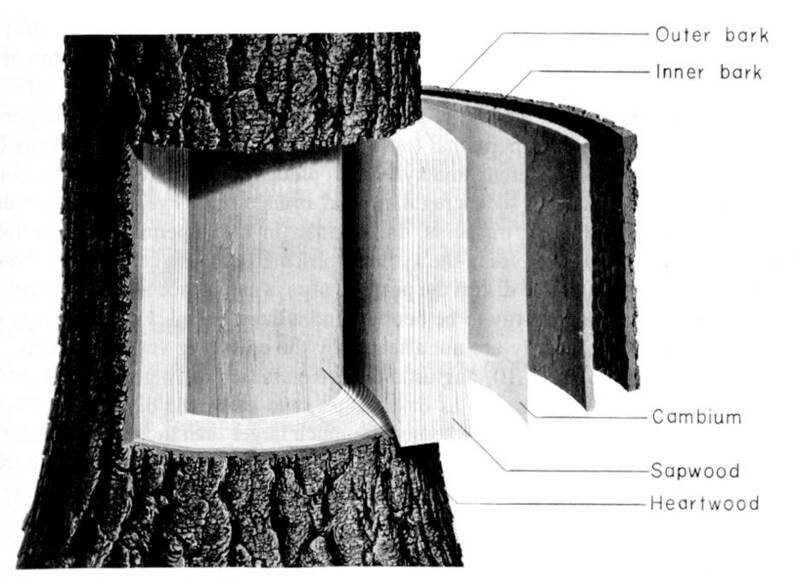 Bark serves as a protective cover to the cambium laver locater between the inner bark and sapwood. Sapwood is the living wood portion to be found next to the bark layer. A crown consists of twigs and branches which bear buds, leaves, flowers and fruit. The function of the leaves is to give oxygen off. Carbon being retained and combined with soil water, feeding substance for a tree is provided. A process of thee growth is known as assimilation. 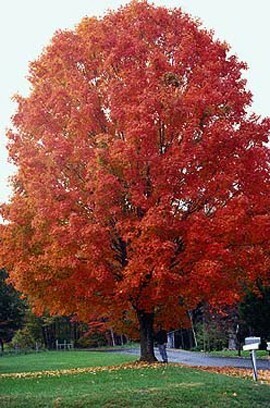 If foliage is removed or light is not provided, the tree will weaken and gradually die. Trees grow in at least three different directions height (stem), depth (roots), width (crown) to increase in volume, in quality and in value. This sort of increase is sometimes called increment: volume increment, quality increment and value increment. Most people believe the trees to grow from early in spring till late in autumn. According to recent studies most of the growth takes place in a relatively short period. In many forests the height growth is completed in springtime in 35 days or less. Other trees, however, continue their growing in height for a longer period. Bark serves as a protective cover to the cambium layer. use, power, combine, transport, protect, grow. 1. This fact has been proved by recent studies. 2. The growth in height is completed in 35 days. 3. Most of the growth takes place in a relatively short period. 6.Завершите предложения в соответствии с содержанием текста. 1. Bark serves as ____	a) …the tree will gradually die. 2. If foliage is removed ____	b) …of two kinds of roots. 3. Most trees have a combination ____	c) …a growing tree protection. 7. Выпишите из текста предложение, в котором говорится о влиянии света на процесс жизнедеятельности деревьев. If we cut a slice out of a tree root or its stem to examine it with a microscope, we shall find out that it consists of many small chambers separated from each other with transparent walls. A further study of the cells reveals viscous fluid within each of the cavities and some more inclusions in the cell structure. This is protoplasm, the living material for the plant to grow. The cells being different, their size is variable with the range of 0,25 – 0,025 millimeter in diameter. Plant cells can also differ in shape, in wall thickness and, to a certain extent, in the nature of material the walls are made of. As for the structures found within protoplasm they can differ in number, form and size. The cell wall is secreted by protoplasm. A cell wall, separating protoplasm of two cells, is produced by each of the two. When the cells are young, the wall is thin. As long as the cell grows new successive layers are being developed so that the wall may finally come to a thickness many times as great as it was first formed. The original thin wall separating two adjacent cells is called the middle lamella. It is composed of a substance called pectose or a compound of pectose and lime (calcium pectate). The rest of the cell wall is almost entirely made of cellulose, a compound which is one of a class of complex substance called carbohydrates. All the carbohydrates are made up three elementary substances: carbon, oxygen and hydrogen. They differ, however, either in relative quantities of each of elementary substance or in the manner the units (atoms) of carbon, hydrogen and oxygen are arranged in the molecules of different carbohydrates. Large quantities of pectose are found in the middle lamella; small quantities of pectose are presented in the cell walls. When in sufficient quantities and accompanied by proper proportions of fruit acid and sugar pectose is easily changed in pectin, the substance causing fruit jellies to stiffen. Cellulose is known to be a material of the greatest ever known economic importance. 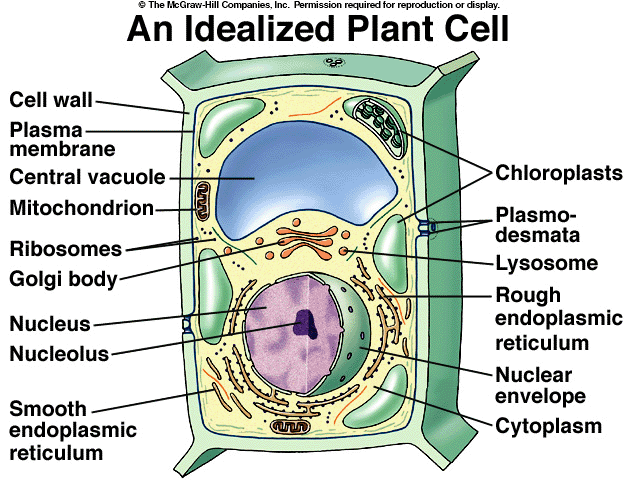 The cell wall is secreted by protoplasm. 2) Are all the carbohydrates made up four elementary substances? 3) Where are large quantities of pectose found in? 4) What substance is called middle lamella? Because it is an organic material, wood is subject to several forces of deterioration, including decay, insects, weathering, mechanical wear, and fire. In some cases, wood can be rendered practically useless by one or more of these agencies, while in less severe cases, the wood is only damaged enough to degrade it from a high – quality to a lower – quality product. However, it should be noted that deterioration occurs only under conditions favorable for a particular type of deteriorating force. If wood is kept dry and / or treated with suitable preservatives, it will last indefinitely. 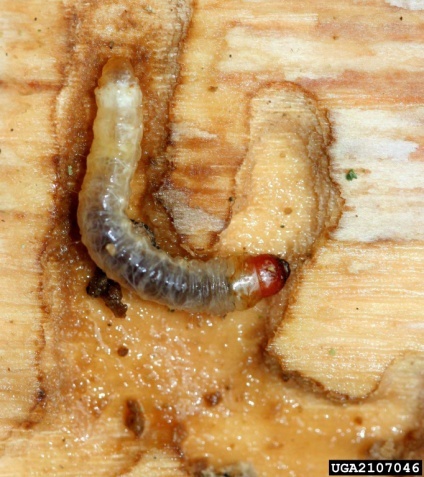 Decay in wood is caused by fungi, a group of ‘lower’ plants. They contain no chlorophyll and hence do not produce their own food but glow within or upon other materials. They decay was caused by fungi was not known until 1874, when proof was presented by Robert Harting, a German pathologist. Wood is subject to decay as trees, logs, and manufactured products in storage and surface. Although there are literally dozens of separate species of fungi which attack or inhabit wood, they are classified for practical purposes into groups according to the appearance of the wood affected or their physical and chemical action on wood. On this basis, the three major groups of fungi are those which cause decay, including brown rot, white rot, and soft rot, as well as wood – staining fungi, and surface molds. 1. Wood is subject to several forces ____ deterioration, including decay, insects, weathering, mechanical wear and fire. 2. If wood is kept dry and treated ____ suitable preservatives, it will last indefinitely. log, product, group, quality, condition, insect, agency, dozen, plant, material. 1) What kind of deterioration is wood subject? 2) Do fungi produce their own food? 3) A group of “lower” plants contain chlorophyll, don’t they? 4) What did Robert Harting prove? 5) What are the three major groups of fungi which are caused decay? 5. Выпишите из текста предложения с модальными глаголами и переведите их. 6. Составьте план пересказа текста. Woody plants usually grow on a single stem ranging in height from 20 to 300 feet or more depending on the species and conditions of their growth. Any tree can be divided into the following parts: roots holding the tree in place and taking up soil water and mineral substances from the ground; a trunk or a stem supporting the tree crown and supplying it with water and mineral substances; a tree crown carrying out the reproduction processes. The substances a tree is fed with are derived from soil and air. Mineral substances are collected by the roots extended down into the ground. There are root hairs at the ends of the rootlets and roots to reach out for water and soil nutrients from the ground. Water and nutrients are moved upward to the leaves through numerous channels in the roots, trunks and branches. The function of leaf cells is to produce a feeding substance for a tree. It is obtained from carbon dioxide which is then broken up into oxygen and carbon. Oxygen left away, carbon, under the influence of sunlight and chlorophyll, are combined with oxygen and hydrogen of water. This is the way for new chemical compounds of nitrogen and other water substances to be formed. Having been processed in the leave cells the raw materials are sent to the tree roots, its stem and crown where they are either used at once or stored away for later use. Like all other plants and animals, trees can ‘breathe’. The breathing process goes on both day and night. The breathing is produced by leaves. Tiny openings in the bark are called lenticles. 1. Подберите эквиваленты к словам, обозначенными цифрами. 1. The raw materials are processed in the leaves. 2. A breathing process goes on only at night. 3. A crown is the most important part of a tree. 1) Any tree can breathing by means of its leaves and lenticles. 2) The materials a tree is fed with are derived from the soil and the air. 3) The carbon dioxide has been broken into its elements. 6. Пользуясь текстом, опишите процесс роста дерева. In prehistoric times, Britain was well-covered with trees. But as the population changed and grew, as agriculture developed and the need for timber increased, the forest areas gradually disappeared. The grazing of cattle and sheep prevented much natural regeneration of trees. However, some woodland areas enjoyed a royal protection because of the facilities they offered for game, hunting. Similar control was exercised by landowners. Some of these woodland areas as New Forest, Forest of Dean and Epping Forest, still exist with many of the old customs and laws still surviving. Some landowners manager their estates well and responded to emergency calls, such as that made by John Evelyn in the 17th century and it is thanks to them that we have these trees we do possess, and were able to face up to some of the demands for timber during the two great world wars. So much home-grown timber was used in the First World War, that is was quite obvious that the growing of trees should no longer be left to individuals. There had to be a national policy. Accordingly, the Forestry Commission was set up in 1919. The Second World War once again made great demand for timber reserves because the effective blockade of the posts made the import of this bulky item a great problem. But in spite of the two wars the Forestry Commission has now planted 1, 5 million acres of trees in the 500 forests of the country. The annual programme in recent years has been 100 million new trees planted each year. Of these, 90 per cent are conifer trees because they are quick growing. The softwood they proved represents practically 90 per cent of out timber needs. 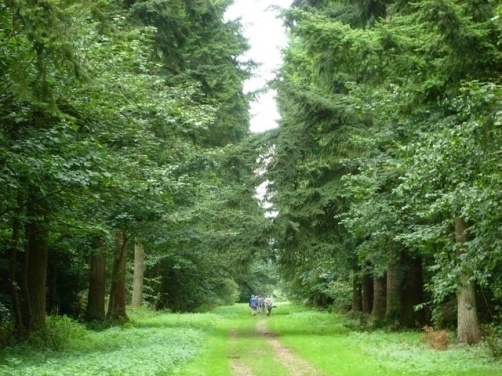 The Forestry Commission, with their scientific and financial resources advises and assists private landowners who have between them 2, 5 million acres of woodland. There are a number of forest schools which train the men who look after Britain’s forests. 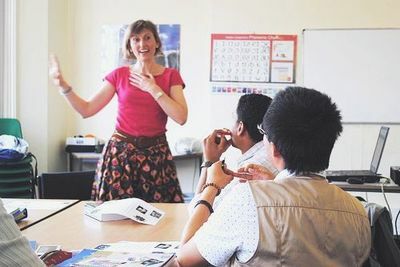 A number of universities have specialist courses which provide a steady flow of men who will occupy various positions both in State and private woodlands. The target in the 1970s was to have 5 million acres of trees providing about one third of a national need of timber. 1) The grazing of cattle and sheep prevented much natural regeneration of trees. million acres of trees in the 500 forests of the country. As the population changed and grew, as agriculture developed and the need for timber increased, the forest areas gradually disappeared. In what times was the country well-covered with trees? Why did some woodland areas enjoy a royal protection? When was the Forestry Commission set up in? Has the annual programme been 10 million new trees planted each year in recent years? The conifer trees are quick growing, aren’t they? Two English-speaking countries across the ocean possess large forest resources. They are Canada and the USA. The amount of timber resources of the USA is second only to Russia. Forest land occupies one third part of the United States area. There are over one thousand species of trees in the USA. In Europe (without Russia) there are less than one hundred. England has about thirty and France thirty five. Out of the one thousand kinds of trees in America only about one hundred have much commercial value as lumber. Of these about sixty are hardwoods and about forty are softwoods, but only fifteen hardwoods and fourteen softwoods are extensively used for lumber, plywood and construction timber. The softwoods are the oldest family of trees in the United States. The commercial softwoods of importance are: southern yellow pine, Douglas fir, hemlock, Sitka spruce, larch, and white fir. Hardwoods which are broad-leaved and usually shed leaves in autumn furnish about 20 per cent of US commercial wood products. They are oak, maple, birch, beech and others. Most part of the forest land is privately owned and consist of small parks and farms under 5,000 acres. The care of these forests lies on the small owner. There are 146 national forests furnishing 159 million acres in the United States. The national forests are administrated by the United States Forest Service. 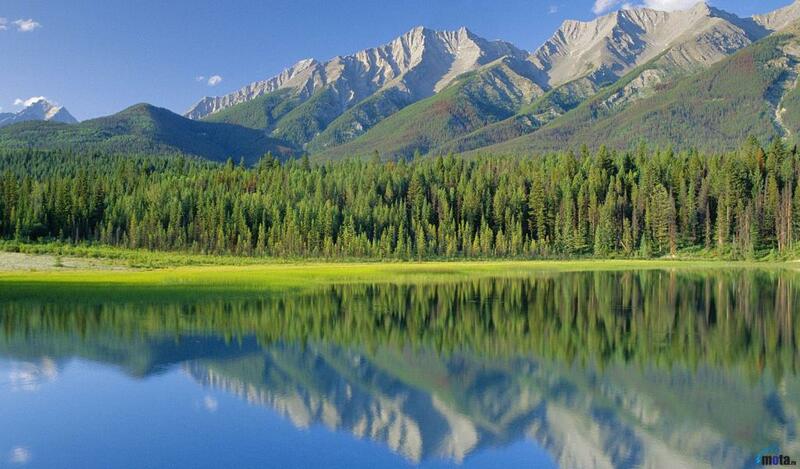 The forest resources of Canada amount to 11,6 billion cubic meters. The most important forest trees in Canada are the spruces. About one third of Canada’s timber is spruce. Its wood is used for pulpwood, lumber and plywood. Second only to the spruces are two-needled pines. These pines furnish 11 per cent of Canada’s standing timber volume. Third in importance are the true firs, of which the most distributed is the balsam fir. Its wood is commonly cut as pulpwood and to a lesser extent, as sawngoods. Next is a family of broad-leaved deciduous trees – aspen and poplar. Fifth among Canada’s forest trees is the Hemlock. Western hemlock is a main commercial source of tannin, while the wood is used for railroad ties, lumber and pulp. The tree, responsible, more than any other, for British Columbia’s world-wide reputation for timber is the coastal form of Douglas fir. Douglas fir is used extensively for lumber, plywood and construction timber. Next in order are the cedars. Their wood is light and resistant to decay. In virgin forests they reach heights of 150-200 feet and diameters of 8 to 10³ feet. Their wood is used for lumber, poles and posts. Finally there are the birches. Most distributed is the white birch which grows widely throughout Canada. The most important hardwood tree in eastern Canada is the yellow birch. Its wood is much in demand for flooring, furniture veneer and railroads ties. Canada is indeed fortunate to possess such a variety of useful tree species. The pine and spruce in the east, and Douglas fir, cedar and hemlock in British Columbia have won for Canada its position as the world’s leading nation in forest products trade. 2. Выпишите все числительные из текста и напишите их словами. The wood is used __ rail roads ties, lumber and pulp. There are __ one thousand species __ trees __ the USA. The care _ these forests lies __ the small owner. Douglas fir’s wood is __ used _ lumber, poles and posts. It is wood is much __ demand flooring, furniture veneer and rail roads ties. 1. How many species of trees are in the USA? 2. The spruces are four-needled pines, aren’t they? 3. What height has Douglas fir? 4. What trees are the commercial softwoods of importance? 5. What part does forest land occupy of the USA? 6. Are the national forest administrated by the land owners or by the United States Forest Service? 7. Has England about 50 species of trees? 6. Выполните письменный перевод текста. 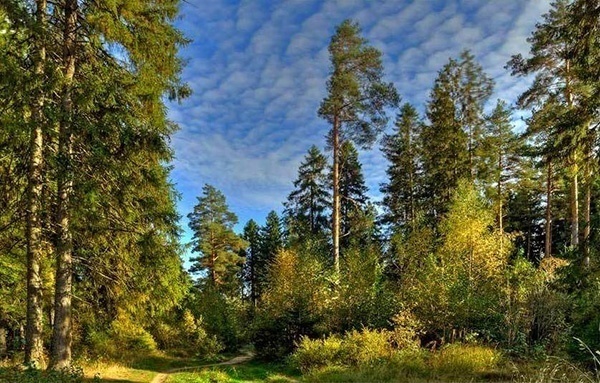 Being an ecological frame of the Earth’s biosphere, the Russian Forests occupy 69 per cent from the total land area of the Russian Federation account for more that 20 per cent from the global forest resources. That is why ensuring sustainable and sound forest use, protection and restoration of Russian forests represents not only a national but also a global task of vital importance for the entire mankind. As regards the amount and diversity of their ecological functions, forests are of special value as compared with other natural complexes. They provide for regulation and cleaning of water flows, soil conservancy and improvement in natural fertility, the most complete conservation of genetic diversity, and enrichment of atmosphere with oxygen, prevention of air pollution and formation of a climate. Forests are a source of many ecologically; clean food resources for satisfying diverse needs of people, they represent a human environment conducive to maintaining people’s spiritual and physical health. Therefore, forests serve as a central link in nature conservancy and natural regulation of overwhelming majority of environmental processes. It is the forests that are a natural base contributing to human survival. Maintenance and enhancement of national forest resources, as the principal goal of efforts of the Federal Forest Service of Russia, can be attained by means of implementation of sustainable forest management. This means that forestry should ensure sound use of forest resources, functions and benefits which are of value for present and future needs of human civilization. Of special value is the balance of interests of different population groups, industries and forest administration bodies, with respect to forest utilization within specific areas, available timber and nonwood resources, their processing, development of relevant economic structures, providing for the employment of all population groups, without causing any damage to environmental quality and biodiversity of forest. 1.The land area is ___1___. 2.The forest resources are ___2___. 9. The regulation is ___9___. What area do the Russian forests occupy? What are the national task and the global task of the entire mankind? Why is the forest as a central link of the conservancy and regulation of national processes? What is of special value in forestry for human civilization? Раздел 3. Охрана окружающей среды. That’s why those who live in cities prefer spending their days off and their holidays far from the noise of the city, to be closer to nature. Perhaps they like to breathe fresh air or to swim in clear water because the ecology is not as poor as in the cities. So, pollution is one of the most burning problems of nowadays. Now millions of chimneys, cars, buses, trucks all over the world exhaust fumes and harmful substances into the atmosphere. These poisoned substances pollute everything: air, land, water, birds and animals people. So, it is usually hard to breathe in the large cities where there are lots of plants. Everything there is covered with soot and dirt. All these affect harmfully. Water pollution is very serious, too. Ugly rivers of dirty water polluted with factory waste, poisoned fish are all-round us. And polluted air and poisoned water lead to the end of the civilization. So, nowadays a lot of dead lands and lifeless areas have appeared. Because of our actions and dealings can turn the land to a desert. So, we see that our environment offers an abundance of subject matter for discussion. The problems and prospects of the blue planet interest not only scientist and futurologists, but also politicians, industry, and the public – and above all, young people! There is hardly a young person who is not conserved with the preservation of our natural habitat. To recognize environmental problems and master them, to reduce and avoid environmental pollution, to discover and develop ecologically sound technologies – there are the essential building blocks for our future. We are to stop pollution. 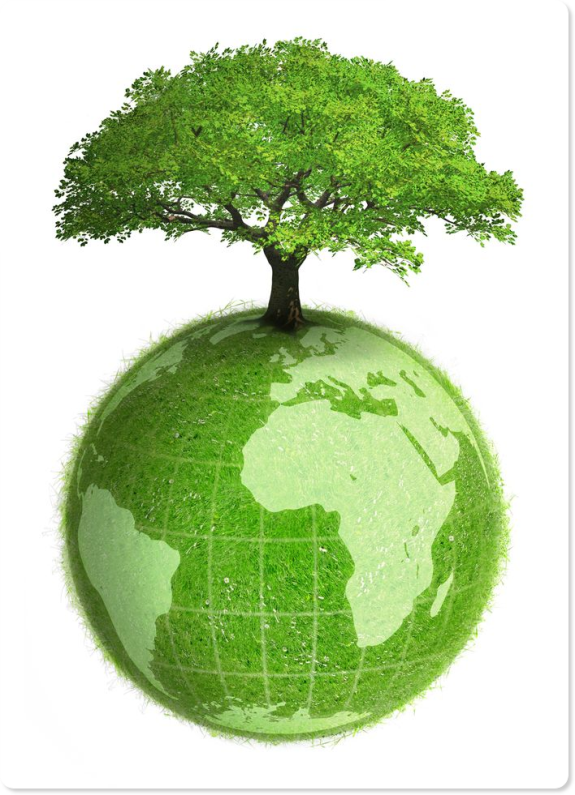 So, we can grow plants and trees, to purify waste, to start urgent campaigns in order to preserve environment. 1. Вставьте правильный вариант should or mustn’t и переведите предложения. We …..pollute water and air. People….put rubbish in a rubbish bin. People….respect the life and work of the countryside. 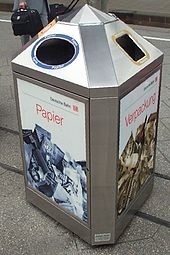 We….recycle old paper and metal. We….throw rubbish on the ground. 2. Выпишите из текста предложения с модальными глаголами и их эквивалентами и переведите их. 1. Why do people prefer spending their days off far from the noise of the city? 2. How do millions of chimneys, cars, buses, trucks all over the world damage our nature? 3. Who interests the problems and prospects of the blue planet? 4. We are to stop pollution, aren’t we? Why? 4. Составьте план пересказа текста. 2. Help, our water is ill! In our country there are beautiful seas, lakes, rivers, streams and ponds. We admire their beauty, we swim and boat in them. We cannot live without water. We drink it, we cook our meals, and we wash ourselves, wash our clothes and clean our houses with water. Water gives us electricity. It helps people to produce many things in factories and plants. We water flowers, vegetables and trees in our gardens. We catch fish from rivers, lakes and ponds. Water carries ships and boats. So we really cannot live without water. But do we keep our water clean? Do you know that dragonflies can live only near clean water? If the water is polluted they die at once. Now, many small children in our region do not know what dragonflies are. Some folk traditions help to keep water clean. For example, they are not allowed to pollute wells, to spit into standing water, etc. But in what way is it possible to "treat ill water" to make it clean again? We need special stations to clean dirty water. We must save water at home, not wash cars in rivers, lakes and ponds, keep wells tidy, not put rubbish into the water, and clean small streams. In some villages and towns there are blue patrols at schools. They watch the streams, ponds and rivers nearby, help to keep them clean and even put small baby fish into them. Everybody must take care of water because we cannot live without it. 1. Can you live without water? 2. Why is water so important for us? 3. What do you know about dragonflies? 4. What should we do for protection of water? 3. Составьте все виды вопросов к данному предложению. We need special stations to clean dirty water. 4. Определите, какое предложение противоречит содержанию текста. 1. Water helps people to produce many things in factories and plants. 2. In some villages and towns there are green patrols at schools. 3. We need special stations to clean dirty water. 5. Составьте письменный рассказ о том, что необходимо делать, чтобы защитить водные ресурсы нашей планеты. Recycling is processing used materials (waste) into new products to prevent waste of potentially useful materials, reduce the consumption of fresh raw materials, reduce energy usage, reduce air pollution (from incineration) and water pollution (from landfilling) by reducing the need for "conventional" waste disposal, and lower greenhouse gas emissions as compared to virgin production. Recycling is a key component of modern waste reduction and is the third component of the "Reduce, Reuse, Recycle" waste hierarchy. What is made from Recycled Materials? 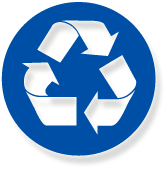 From RECYCLED PAPER we get newspapers, cereal boxes, wrapping paper, cardboard containers, and insulation. From RECYCLED PLASTIC we get soda bottles, tables, benches, bicycle racks, cameras, backpacks, carpeting, shoes, and clothes. From RECYCLED STEEL we get steel cans, cars, bicycles, nails, and refrigerators. From RECYCLED GLASS we get glass jars and tiles. From RECYCLED RUBBER we get bulletin boards, floor tiles, playground equipment, and speed bumps. Use both sides of the paper. Use cloth towels instead of paper towels. Wash food containers and store leftovers in them. Reuse plastic bags. Return soda bottles to the store. Recycle other plastics. Keep glass bottles and jars to store other things. Recycle glass bottles and jars. Give clothes to younger relatives or friends. Donate clothes to thrift shops. Cut unwearable clothing into rags to use instead of paper towels. Keep leftovers in storage containers instead of wrapping them in foil. Use glass or stainless steel pans instead of disposable pans. Recycle aluminum cans and foil trays. Return wire hangers to the dry cleaner. Cut the amount of food you throw out. Try saving leftovers for snacks or meals later on. Make a compost heap using food scraps, leaves, grass clippings, and the like. Use rechargeable batteries for toys and games, radios, tape players, and flashlights. Find out about your town's rules for recycling or disposing of batteries. 1. Соотнесите материал с переработанными изделиями. 2. How environmentally aware are you? 1. What does your family do with empty bottles? A) Take a plastic carrier bag. В) Reuse an old plastic carrier bag. С) Use your own bag. 3. How often do you choose products which contain recycled materials? В) give a small amount. С) refuse to give anything. A ) donate money for the clean-up project. С) volunteer to help with the clean-up project. 6. You eat a chocolate bar in the street. What do you do with the wrapper? A) buy whatever is cheapest. В) try to purchase recycled paper. С) purchase recycled paper as long as it doesn't cost more. A) Turn the tap on only when you need water. В) leave the tap running until you have finished. С) only use one glass of water. Keep up the good work! You are doing your part to protect the environment. There is some room for improvement. Change your habits and soon you will be green. You are part of the problem. You should try to become part of the solution. There are eighty parks in London, large and small. Three of them are in the centre of the city: Hyde Park, Regent’s Park and St. James Park. The others are in different parts of London. In the south-west London, near the river Thames there is a fantastic park of Great Britain – the Kew Gardens. It is a botanical garden. All year round you can see lots of flowers there because Kew gets its plants – 100,000 different plants – from all countries of the world. The plants which like hot weather live in greenhouses, for example, palms grow in the palm house. The first palm was planted here 150 years ago. Now not only palm trees, but bananas and oranges grow here too. Another house which people like to visits is the cactus house. Cactuses came here from deserts where month after month it doesn’t rain. There are hundreds of different trees in 120 ha. of Kew. Some of the trees are 200 years old. The workers of the Garden planted them when Kew was quite young. In some countries trees become scare. The workers of Kew go to these countries and come back with the seeds of these trees and plant them at Kew. 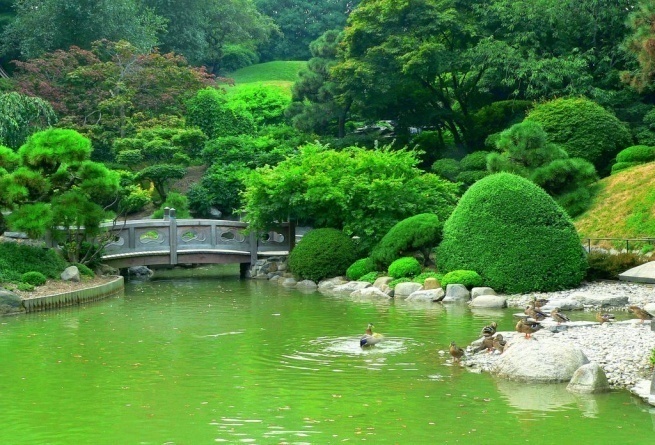 Thus the trees which are few in the world live in this garden. Kew is important for men who are fond of nature trees and flowers and for young men who are going to study botany and gardening. Every year sixty young men from all over the world come here for the three year course of gardening at Kew. After this course they work in big parks and gardens in many different countries. In three museums of Kew visitors see timber from the trees of many countries, food plants, medicine plants, and industrial plants. 300 people work at Kew now. In fine weather about twenty thousand people a day come to visit Kew. Our country is rich in forests. In contrast to other mineral raw materials – oil, coal, non- ferrous metals – forests are a renewable resource. But we should be extremely careful with our wood resources if we want to have sufficient raw materials available in future. About four hundred million cubic meters of timber are harvested yearly and demand for it is growing every year. The take is to increase efficiency of forest, resource utilization; only reasonable forest management will allow to preserve the existing amount of forest stands. How can the effectiveness of forest utilization be increased? First and for most through creation and further development of complex enterprises because these will help to make use of advantages in concentration of forest management and whole tree technology. new machinery suitable for realization of complex technological processes - whole wood technology principle- to be developed with special attention to machinery allowing the wood on felling sites, that is machinery allowing manufacturing chips or felling sites. All these measures will help to realize forest potential in our country reasonable and for the good of our people. FIRST GROUP- comprises the forests that perform mainly, water-regulating, protective, sanitary and health-improving functions. This group includes also forests from other protection categories that are of important environment-protective, scientific - historical or social- cultural value. First- group forests occupy 221.7 million ha. SECOND GROUP- comprises the forests within densely populated areas that are of both protective and limited exploitation as well as the forests featured by insufficient timber resources and strictly observed forests exploitation rules. Second- group forests occupy 61.0 million ha. THIRD GROUP- comprises the forests of richly-wooded regions that are of mainly exploitation value and intended for satisfaction of needs for timber, without prejudice to their protective capacities. Third- group forests occupy 827.8 million ha. The area under first- group forests has been expanded continually. This is evidence of an increased ecological importance of forests. 4. Species composition of forests. In the Russian forests three groups of main timber species are presented. A predominant coniferous is Larch (Larix), the area covered with it exceeding that occupied by stands composed predominantly of birch (Betula). Are mainly stands of European birch (B.Pendula) and white birch (B. Pubescenes). Despite taking the second place among soft leaved species, aspen (Populus tremula) forests cover the area being 4.5 times lees as compared with birch forests. Oak dominates in the group of hard leaved species. 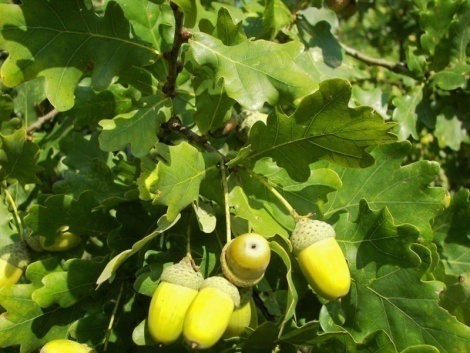 About 55% of oak stands composed mainly of common oak (Quercus robur) are concentrated in the European part of Russia, and the rest- in the Far East where oak stands are composed almost completely of Mongolian oak (Q. Mongolica). Stone birch also belongs to hard leaved species. Such a collective name comprises several genera of birch with dark- coloured bark and very hard wood to be met with in Ear East. As regards areas covered, stands of stone birch take the second place (after oak forests) in the group of hard leaved species. Other hard leaved species are hornbeam (Carpinus), ash (Fraxinus), maple (Acer), elm (Ulmus), and they cover, as compared with the entire Russian territory, a rather insignificant area. Three groups of main timber species (coniferous, hard- and soft leaved) cover, on the whole, 638 million ha (90.4% of the entire stocked area), including 508 million ha (71.9%) of coniferous, 113 million hag (16%) of soft leaved and 17 million hard leaved. Three main timber species groups account for 98.3% (71.7 billion m3) of the total standing volume, including 79.1% (55.7 billion m3) of coniferous, 16.6% (12.1 billion m3) of soft leaved and 2.6% (1.9 billion m3) of hard leaved. Watching leaves of a tree maybe is not a modern method of predicting the weather, but every American farmer knows that it is going to rain when maple leaves curl and turn bottom up in a cold wind. A woodman says he can tell by the thickness of lichens on the pine trees just how cold the winter is going to be. The maple sugar farmer can tell what month of a year it is just by looking at the trees, the turpentine gatherer tells time by the pines. People who live with trees learn really to know their habits. Cowan, a botanist, observed in India that leaves of the rain – tree have the wonderful power of changing their position in accordance with atmospheric conditions. 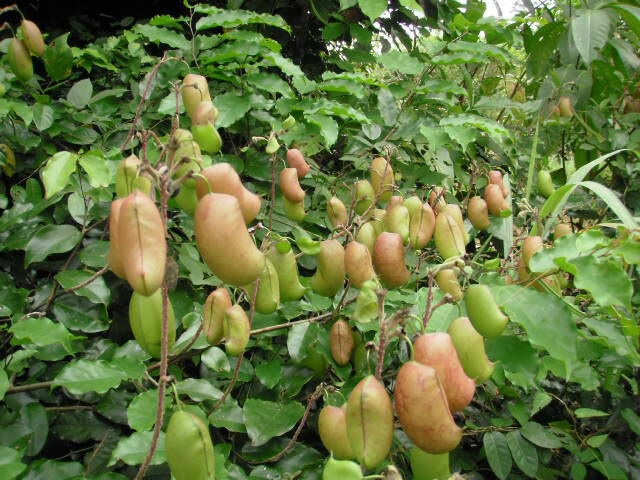 In full sunshine they are horizontally spread, allowing no weather or during rain the pair of rainy weather with the result that in Birma the people of a village think that tamarind is the home of rain. In west tropical Africa trees prove to be unusual time-keepers, and they are known as dependable alarm-clock. For example, the griffonia has 2-inch pods which open with a loud noise. This noise is the signal to the farmers that the time has come to plant their crops. Another tropical tree flowers in February and in August. The flowering of these trees indicates that the time of the second planting of corn, just before the second rains, has come. The native pear tree in the eastern part of Nigeria is a clock, for planting of field crops begins when the tree shows buds. The fruit of one more tropical tree in Sierra Leone ripens by the time when the raining season is over. Russia houses a great number of various animal species. Mammals of more than 300 species, birds of more than 700 species, amphibians of about 30 species and reptiles of 80 species inhabit vast territories of Arctic tundra, hot southern deserts, deciduous and coniferous forests, mountain countries, and seacoasts. The first animals are Hares. First of all, both Mountain and European Hares are remarkable for their large eyes placed on the sides of the head, allowing animals to look in the opposite directions and expanding their visual angle to 360°C. 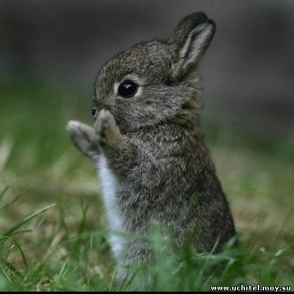 It means, that motionless hare is able to see both its nose and tail without turning its head. That is why it is very difficult to approach a hare undetected because hares are able not only to run very fast, but also to confuse chasers crossing their own tracks in various directions. Hare is not an easy prey for many predators. One more resident of Russia is the Great Eagle Owl. These largest nocturnal raptors prey in the dusk and at night. They are excellent predators owing to a number of peculiar traits. 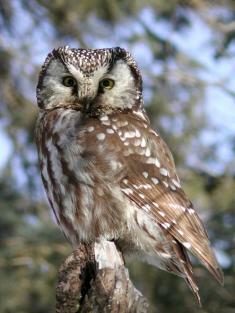 Soft plumage makes their flight quiet; acute eyesight allows them to see both in the dark and in bright sunlight; sensitive audition helps to locate prey not seeing it. In the wild these nocturnal raptors prefer to construct their nests in tree holes. Common squirrels are lovely animals were formerly common not only to the fo-rests, but also to the city parks, where they are rather rare now. In summer, squirrels wear bright red coats and change them for more fluffy silver-grey coats in winter. Change of the seasons is marked not only with disguise; in late autumn squirrels store nuts, berries, and mushrooms in their winter nests, constructed in tree holes or in the branches and looking like a round ball. To dry mushrooms, animals pin them on thin tree branches. Various small passerines (chaffinches, bullfinches, greenfinches, starlings, waxwings, siskins, goldfinches, etc.) are most common to the European Russia. Sable and Marten are small and very mobile animals active almost all day round with short breaks for sleep. Both of them are predators with a wide range of prey. Their diets consist primarily of small rodents and birds with great amounts of fruits and berries added to them in summer. 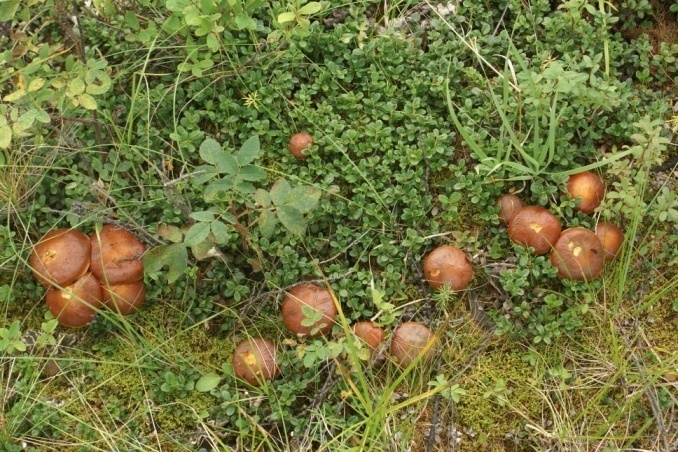 Sables readily feed on cedar nuts devastating food stores of its taiga neighbors. Unlike sables, martens spend more time on the trees, moving fast from branch to branch. 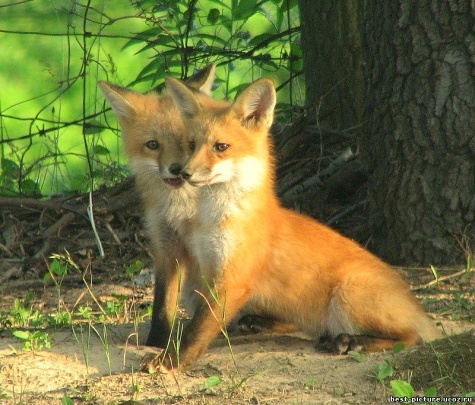 Foxes usually prey for small rodents abundant in the woods, fields, and at the forest edges. In summer they readily take also insects and berries. In winter, one can see foxes wondering in the fields and listening to mouse rustle under the snow. Hearing familiar piping sounds, a fox bounces as a ball and flaps snow with its paws to get the prey, or begins to dig snow fast. Ravens have been always believed to be evil birds attracting death. The reason for such negative account was the fact that these birds were often seen feeding on carrion. When their chicks hatch, which happens early in spring after snowmelt, the parents feed them with dead animals. So the ravens should be called health officers of the forest rather than death messengers'. These large black birds prefer to breed far from human settlements, building their nests on the highest trees deep in the woods. Due to their extraordinary talents, Beavers are called constructors and architects. These animals common to the forest rivers and springs are one of the largest rodents. Beavers' incisors are very strong; they grow constantly and remain as sharp as razor blades. Tooth enamel is durable on the exterior side of the animal's upper teeth and soft on their interior side. The structure of the lower incisors is just the opposite. It allows beaver's teeth to sharpen constantly. The beavers use tree trunks and large branches cut with their wonderful teeth to construct dams across streams and rivers. Their huts are built at such dams. Although construction of hut seems to be very simple, the hosts are safe in their roomy quarters. Entrance to the hut is under water, and unwelcome terrestrial visitors are not able to get inside. 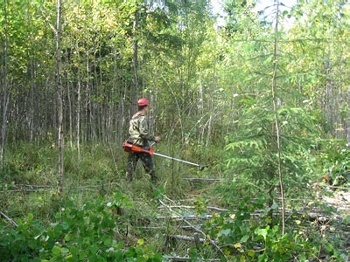 Thinning and sanitary felling are principal silvicultural techniques for growing healthy and highly productive stands. These techniques are carried out with the purpose of improving the quality of species composition and health of forests. Besides that, thinning and sanitary felling are a supplementary source of wood and they ensure economic stability of forest management units. The volume of thinning and sanitary felling in the European part of Russia exceeds considerably that in the Asian part because of a more developed forest tracts. Reduction in that kind of felling to have been observed in the recent years, may result in deterioration of Russia forests quality. 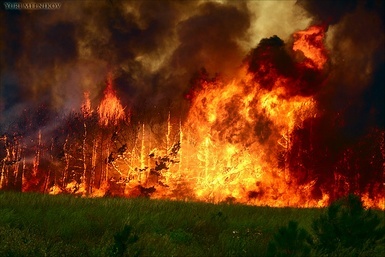 Each year from 12000 to 30000 wildfires are recorded in Russian forests. Airborne and ground fire fighting services account for the survey of 709.3 and 41.9 million ha of forests, respectively. Average forest area affected each year by destructive insects and diseases amounts to 2.0 – 3.5 million ha. In 1996 more than 194,000 ha of forests perished in consequence of these biologic impacts. Control of destructive insects and diseases is carried out annually on the area exceeding 500,000 ha, the biological methods (application of bacteria and virus preparations) being used, on the average, for 77% of this area. The area of 7 to 9 million ha is involved annually in the forests health monitoring representing a system of efficient control of forest condition, which ensures a timely detection of pathological changes in forests, assessment of situation and forecasts of its development. Forests pathology expeditions carry out an annual survey of the area of 6 to 10 million ha for obtaining more accurate data relating to spread of forest diseases and mass reproduction of pests, with the purpose of prescribing appropriate measures for protecting from damage forests. There's an extremely widespread (especially among representatives of the industry and state officials) opinion that economic and social progress inevitably lead to destruction and pollution of the environment, and that those who are against harming nature are against progress. In fact, it's not true. Rational natural resources management, recycling and others allow society to evolve in harmony with nature, conserving environment and human's habitation. Such a social evolution is the goal of Greenpeace. What comes to mind when discussing the "poisonous fruits" of modern civilization? Most probably one imagines a chimney expelling sickening black and yellow smoke. Or a pipe from which a foul-smelling grey-brown substance is flowing. As a result, in many Russian regions the water and ground are poisoned for many kilometers around "industrial giants". But still there are people and their children living on that land, growing fruits and vegetables in their small gardens... No wonder the estimated life expectancy is significantly shorter in Russia than in Europe or North America. Is the situation changing for the better now? That's a rhetorical question. Looking at the other countries' experiences we can say that it is indeed changing, but only where there's strong civil movement demanding and obtaining these changes. Otherwise businesses prefer to spare on environmental protection and people's health. Is something changing in Russia? Of course, it is. On the one hand, the economic crisis and shutting down of many dirty plants have improved the environmental situation in general. (Still it's not really desirable to achieve positive changes in this manner alone.) On the other hand, the recent flaws in the Government's work led to cancellation of pollution fines by the Supreme Court. For several months plants were not forced to pay for their pollution, if they didn't wish to do so: one of the main reasons for switching to the new clean technologies has disappeared. And although the Constitutional Court has restored the system of fines in December 2002, it was restored along with all its flaws: from the short list of pollutants to the wide-spread "non-formal" regulations of the fines' sums. Now the Supreme Court has cancelled the 'pollution tax' again. The situation is looking more and more like a bad comedy. At the same time many foreign (and especially European) consumers of Russian production demand a careful treatment of the environment, because they don't want to help to advance its destruction. Thus the situation in Russia is being created by many diverse processes. Confronting pollution of the environment is one of the main aims of Greenpeace in Russia. Our goal is to assist the creation of conditions that will allow pollution decrease and environmental protection (as our daily-life norms). 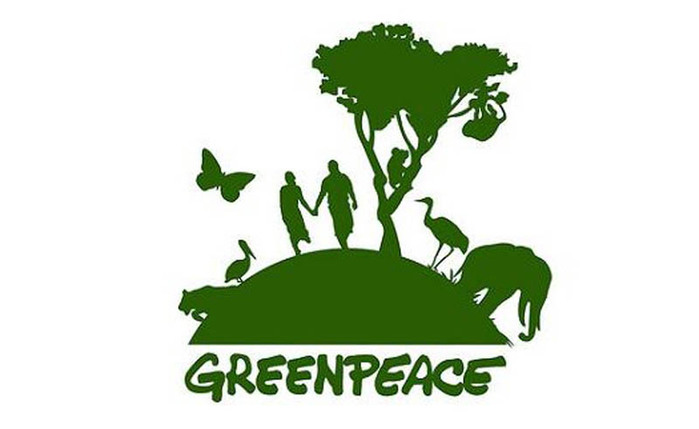 Greenpeace is a part of social movement for clean environment, for the life conditions worthy of humans. But visible pollution is only the tip of the iceberg. Too seldom a deadly poison is being linked with a simple plastic bottle in one's mind. And still even the most commonplace things can be dangerous for the environment. In some past years it was discovered that many products and goods to which we were accustommed from the childhood are very dangerous. First of all, (it's a) products which contain chlorine, which is not found in nature as an isolated substance. Chlorine easily comes into contact with organic substances creating poisonous dioxins. These strongest poisons cause many serious diseases: they damage nervous system and liver, brain and skin, causes cancers, endocrine system disorders, dysfunction of the reproductive system and others. Moreover, their "lifespan" is very long, their complete decomposition takes decades and even centuries. They're in the list of the planet's most poisonous substances and are called "persistent organic pollutants" (POPs). Programmes exist to eliminate these substances in many countries. The problem of chlorine pollution is a real issue for Russia, which is why Greenpeace pays it special attention. Greenpeace envisages the solution of this problem in (first of all) re-profiling of the dangerous industries. 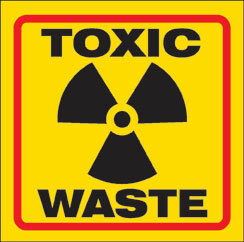 One of the main directions of the Greenpeace toxic campaign's work is informing and educating customers. Everyone has the right to choose production that doesn't harm environment and human's health. Everyone should know just how safe every product is. A fungus is a parasite that lives on dead tissue. Some fungi are mold, mildew, rust, dry rot, and mushrooms. They grow suddenly, especially after warm spring and autumn rains, or if water gets in places that are not supposed to get wet. They are delicate and fragile, which means they are not very strong. Mushrooms are the best known fungi; they can be found in woods, fields, and orchards. An adult mushroom has a stem, called a "stalk", and a lid, called a "cap," which looks like an umbrella. The cap opens after the mushroom grows through the soil or the decaying log where you find it. Some mushrooms are good to eat, but other mushrooms are very dangerous, and if you eat the wrong kind, you can get very sick. NEVER eat mushrooms that you find. Take them to your parents or your teacher, and ask if they can tell if they are all right to eat. Look closely at a mushroom. Underneath the cap there are lines going from the stalk to the edge of the cap. These lines are called "gills," and they are very thin, like paper. On the outside of each gill are hundreds of cases (like sacks) which hold their seeds, which are called "spores". You can only see the spores if you have a microscope. We don't know for sure, but one mushroom may be able to make as many as ten million spores. Some mushrooms burst when their spore sacs are ripe, and a puff of air carries them away. Some of the spores will land in a good place to grow, and they will grow into more mushrooms. Try to find some samples of other kinds of fungi, like mold, mildew, or rust. Almost 60% of the total land area of the Russian Federation is considered to be relatively favorable for the forest growth. About 67% of the forestlands meet the coniferous site factor requirements, and 17% are covered with sparse coniferous forests. Taiga and tundra zones take up about 78% of the Forest Fund area. All the forests are divided into three groups according to their economic and environmental functions. Group I forests (20%) carry out protective functions with restricted usage regimes. Group II forests (6%) are located in the areas of high population density and/or low forest resource potential, and maintain strict forest use practices. These forests also carry out protective functions, having limited usage regimes. 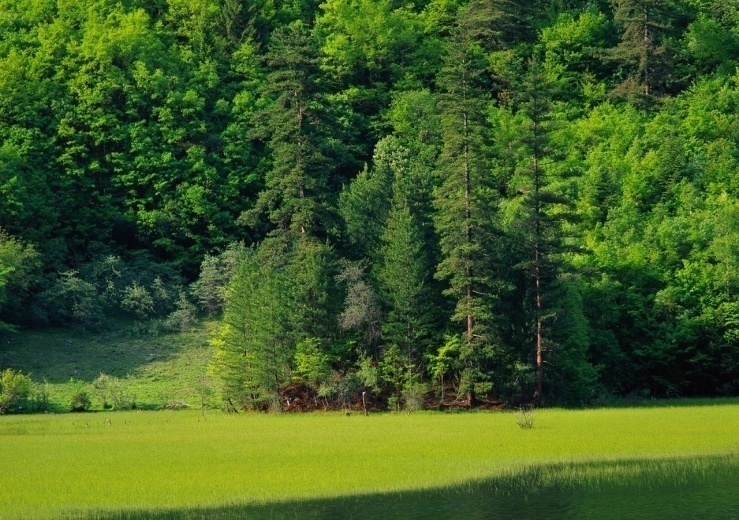 Group III forests (73%) are located in the forest abundant regions of Russia and are of commercial value. These forests are meant to meet economic needs on a constant and sustainable basis by providing timber and at the same time, not undermining forest protection functions. During the last decades, a clear tendency of the Group I forests increase has been established. This process demonstrates that the state priorities have been maintained, while aiming at further development and preservation of the protective functions of the forests. The major tree species that make up the forests in the Russian Federation are larch, pine, Siberian pine, spruce, oak, beech, birch, aspen and others. The above species constitute some 90% of all the forested area of the Russian Federation. Other tree species (such as pear, chestnut, and walnut) occupy an area of less than one mill.ha and shrubs (such as Pinus pumila and Betulaceae) cover the remaining area. All of the forests forming species are clustered into three groups: the coniferous group (79%), hardwoods (2%), and softwoods (19%). Within the coniferous group, the greatest area of land and growing supply belongs to the Larch predominant stands of Siberia and the Far East (more than half of the total area of the coniferous group). Pine trees occupy 23% and spruce trees 15% of the area. The area dynamics of the major tree species that make up the forests is presented in Table 1. Taken as a whole, these areas, which are covered by these major tree species, have remained quite stable during last decades. 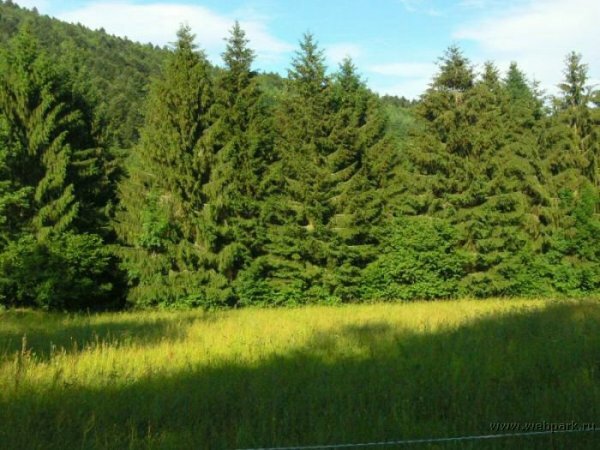 Certain changes in the coniferous group area were mainly caused by new measurement regulations adopted in 1985 and 1994. The decrease in forest area for Oak seedlings in the European-Ural part of Russia is the only exception. The decrease was caused by unsatisfactory pathological conditions resulting from natural processes and to a lesser extent, by anthropogenic factors. Silviculture experts and forest pathology specialists have repeatedly discussed the oak issue, which remains as one of the leading priorities of the Ministry of Natural Resources. The increase in area for softwoods is a negative tendency caused by low demand. The annual allowable cut is steadily decreasing in all regions of the Russian Federation and birch and aspen are becoming predominant among the softwoods. As for the hardwood group, Stone Birch, which grows in the Far East, occupies half of the area, while the most valuable species, such as oak and beech cover one fourth of the total area. More than half of all the forests in the Russian Federation are growing on the permafrost soils of Siberia and the Far East, which is a fact that contributes to the rather low productivity of timber-producing areas of the forests. Only 55% of the total forested area of the Russian Federation is considered to be potentially accessible ecologically or economically. A major part of these forests are located in the North European region and along the Trans-Siberian railway. These are areas that already were intensively logged during the past decades. According to the 2001 state Forest Fund account, the growing stock of major tree species, which make up the forests in the Russian Federation, is 74.5 bill.m3, including 41.5 bill. m3 of mature and overmature trees with an average growing reserve of some 137 m3 per hectare. In the forests of potential exploitation (remote areas), the growing reserve is higher and makes up to 167 m3 per hectare. The annual mean volume increment for the total forested area of the entire Russian Federation is estimated to be 871.45 mill. m3 (1.34 m3 per hectare). Half of the total area of coniferous forests is composed of mature and overmature trees. During the last decades, a clear trend is that the age structure of the coniferous forests is becoming more evenly distributed. The area of young trees is increasing, the area of middle aged and maturing trees is quite stable, and the area of mature and aged trees is decreasing. A tendency of leveling of the coniferous tree’s age structure has settled in the European Russia. In the hardwood’s group the age structure has been quite stable during the past 20 years. The accumulation of mature and overmature trees in the softwood category is also observed. Purpose-oriented final felling is the only efficient means to improve and regulate the age structure. According to the figure of an annual increment per 1 hectare, Russia ranks among the following countries: Great Britain (100 m3), Bulgaria (104 m3), USA (110 m3). To make a comparison with Austria and Switzerland, these figures are 212 m3 and 334 m3 respectively. At the same time, judging by the mean volume of standing forests per capita, Russia (600 m3) concedes only to Canada (900.1 m3), exceeding Finland (328.1 m3) and Sweden (272.7 m3). This clearly proves that Russia is the one of the most forestry abundant countries of the Northern hemisphere. The total area of potentially exploitable forests in Russia is twice as big as the total forested area of Europe. The size of an exploitable forest site per capita shows that Russia is among the five largest forest powers of the world. Only in Canada, Finland, Sweden and Brazil will one find a larger area than that found in Russia. The area of land that is classified as Class I and Class II for fire danger, which is characterized by low flammability, takes up 32.7% of the Forest Fund. Class III of forest danger is characterized by medium flammability and takes up 30.3% of land area. Class IV and Class V (high and extremely high flammability) amount to 37.0% of the total Forest Fund area. The average amount forest area that is annually burned by forest fires totals about one million ha and varies considerably, depending on climatic conditions. Creeping fires are the most common and they burn away about 90% of the total forest fires area. In the Russian forests, anywhere from 17 to 36 thousand forest fires are registered annually. About 20.9 thousand fires were spotted in 2001, and the area totaled about 868 thousand ha. This is 372 thousand ha less than in 2000. The mean area of a forest fire has decreased by 24.8 ha and amounts to about 41.6 ha. The damage caused by forest fires in 2001 was estimated at 2.9 billion rubles. There are two major reasons for forest fires, which are: anthropogenic (due to agricultural burnings and human carelessness), and natural (lightning). According to the forest flammability analysis, over the past 10 years, up to 72% of forest fires are caused by humans, about 7% result from agricultural burnings, 7% originate from lightning and 14% of fires are due to other causes. Figure 15 presents the data on the forest fires caused in 2001. Up to 40% of the fires in Siberia and the Far East are caused by lightning. Fires, caused by humans, usually occur in the areas of highly developed infrastructure. According to the Forest Code, forest fire protection is carried out by ground and aerial methods. Almost 751.2 million ha are under aerial and ground observation. The forest fire fighting service employs about 100 thousand people to work on land, and a network of technically equipped divisions, such as fire tanks, fire land rovers, tractors, bulldozers, high-pressure pumps, fire extinguishers, and other tools, has been developed. Every forest management unit is equipped with forest fire towers that are provided with TV and remote control equipment. The federal fire fighting body, called “Avialesookhrana”, is comprised of 23 air bases – 4 of which have their own aircraft divisions, conducts all aerial forest fire observations. The total number of staff amounts to 3.7 thousand persons. Forest fire suppression costs amounted to 621.3 million rubles in 2001, but only 485.4 million rubles were covered by the Federal budget. The damage caused by forest fires, which have the tendency to increase in number and area, as well as their frequency and the extreme situations caused by massive and overwhelming forest fires, which take place about 2-3 times a decade, allow forest fires to be in the category of emergency status. From forest fire suppression experience, it has become clear that forest protection propaganda against forest fires has to be enhanced, involving different social and age groups of the local population. Also, timely detection by applying space, aerial and ground methods, as well as further development of specialized forest fire fighting units has to be enhanced. GIS technologies help greatly in making forecasts, providing flexible and timely assistance, strengthening operative maneuverability, and with the stationing of the fire fighting brigades. There is a need for forest fire zoning of the Forest Fund area, especially in Siberia and the Far East. This work requires re-working the current legislation and paying special attention to the environmental and economical assessment of the consequences of forest fires. relict habitat sites populated with rare, endemic, and threatened flora and fauna species. These all play a crucial role in the formation of an ecological framework of a certain region. A state nature reserve (zapovednik) is the most traditional form of site protection and is clearly prioritized for biological diversity conservation. One hundred zapovedniks, with a total area of 33.5 million ha, were established in the Russian federation by the year 2002. They stretch over the territory of 64 subjects of the Russian Federation. According to the legislation, zapovedniks are establishments for nature conservation, scientific research and environmental education. 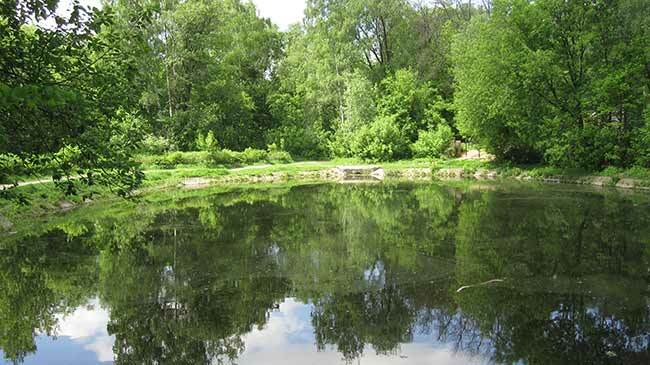 The system of Russian state nature reserves (zapovedniks) is recognized with respect all over the world. Twenty-one zapovedniks have the international status of biosphere reserves, seven are under the jurisdiction of the World Cultural and Natural Heritage convention, ten are under the jurisdiction of the Wetlands convention of international importance, especially as being considered to be waterfowl habitat, and four zapovedniks have been awarded with European Union Diplomas. Territories, that include natural complexes and sites, that have special economic, historical and aesthetic value, that are intended for nature conservation, environmental, educational, scientific, and cultural purposes, and that are designed for regulated tourism, are declared as national parks. By the year 2002 there were 35 national parks in Russia with a total area of 6924.5 thousand ha. Nature parks of regional importance fit into a rather new category of specially protected areas. They represent establishments for nature conservation and recreation that come under the jurisdiction of the subjects of the Russian Federation. At present, the national parks network is in the developmental stage, and only 30 nature parks are officially registered. Wildlife preserves (zakaznik) are the territories of special importance for the preservation or restoration of natural complexes (or components), as well as for the maintaining of ecological balance. State zakazniks carry out nature protection functions under the regime of restricted economic activities and restricted utilization of natural resources. The Ministry of Agriculture of the Russian Federation manages the majority of wildlife preserves. In addition to this, there are about 4 thousand zakazniks of regional importance. Nature monuments are unique and irreplaceable sites of high ecological, scientific, cultural and aesthetic value, which are of natural and artificial origin. Depending on the value of the site, it can be of federal or regional importance. There are 28 nature monuments of federal importance under the jurisdiction of the Ministry of Natural Resources. Their total number at the regional level makes up more than 7.5 thousand. There are 153 resorts with a balneological, climatic and mud-care profile in Russia. Most of them (52 resorts) are located in the Northern Caucasus. Recreation is an important aspect of forest use. Forest lands, accessible for walks and visits, such as nature parks, zakazniks, urban and municipal forests, are considered sites for recreational use. In no uncertain terms, all the Forest Fund lands (both covered and non-covered with forests) are considered as recreational sites and include rivers, lakes, glades, rocks, alpine meadows, roads, etc. Recreational use is defined as the utilization of the forest benefits for the recreation of people. 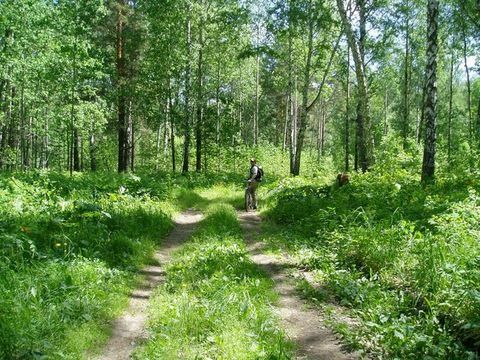 According to the Forest Code of the Russian Federation, the forest users, when on the Forest Fund sites that are designated for cultural, health improving, tourism and sporting purposes, must undertake site improvement measures. Natural landscapes and forests have to be preserved and, therefore, fire safety rules and sanitary requirements have to be followed. I study at the “Forest and Forestry” department in Krasnobakovskiy Forest College. Our college trains specialists of forest management of our country. 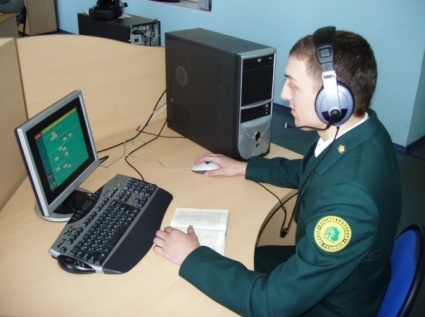 Today it has modern equipments for the organization of educational process – light classrooms with interactive boards, the laboratories with computers. The pride of our college is the richest dendrology park. It was founded 56 years ago by enthusiasts of the technical school on waste grounds and ravines. The area of the park is 19 ha. My future profession is a forester. I shall work as a forest foreman, or as a forest ranger, or as a forest technician. I’m fond of my future profession, so after leaving that institution I’ll try to apply for a job according to my qualification. I think I’ve chosen an interesting and useful profession. Only highly-qualified specialists can provide our forest, our nature an immense use. They protect the forest from any danger, ensure thinning and sanitary felling. Also specialists improve the quality of species composition and health of forest, bring about forest regeneration and increase the forest value. Our forest needs much help, because today it is destroyed by different insects, diseases and other pests. Everybody! Remember! Our life would be dull and poor without forests. We must take care of it for next generations and ourselves. We all must do what we can do to keep the water, the land and the air clean. Артикль - это служебное слово, употребляется только с существительными и на русский язык не переводится. - с существительными, обозначающими меры веса, время скорость. - с названиями гостиниц, театров, музеев, газет, журналов, судов. - перед названиями отдельных островов, горных вершин, заливов, озёр. weather, furniture, information, advice, fish, news, money, watch, knowledge, fruit, progress, hair, love, work. politics, clothes, goods, trousers, spectacles, scales, suburbs, slums, contents, wages, tropics, memoirs. Обозначает регулярное действие, то, что происходит постоянно, каждый день. Обозначает действие, которое происходит прямо сейчас. Обозначает действие, которое длилось определённое время и уже завершилось. Wh. will have been ? P.Per. и P.Per.Pr. не меняются. В английском языке при обозначении номера страниц, глав, частей книг, аудиторий, домов, трамваев и т. п. обычно употребляются количественные числительные. В этом случае количественное числительное следует за определяемым им существительным, причем существительное употребляется без артикля: chapter one глава переая, part two часть вторая, lesson three урок третий page fifteen страница пятнадцатая. При употреблении порядкового числительного в аналогичных случаях оно ставится перед существительные с определенным артиклем: the first chapter the second part первая глава, вторая часть, the third lesson третий урок. Five and four is (are) nine. There are three classes of reactors: slow, intermediate and fast. — Имеются три вида реакторов: реакторы на медленных, промежуточных и быстрых нейтронах. There are thirty-one days in January, — В январе тридцать один день. Дробные величины 1/2 и 1/4 передаются особыми словами: a (one) half (l/2), a (one) quarter (1/4). half the distance половина расстояния. an hour and a half полтора часа. 2 1/4 metres 2 1/4 метра (читается: two and a quarter metres или two metres and a quarter). Примечание. При чтении десятичных дробей между числительным, обозначающим целое число, и словом point делается короткая пауза. По дисциплине «Иностранный язык» студент должен выполнить контрольную работу, которая состоит из четырёх заданий. В данном пособии контрольная работа прилагается в двух вариантах. 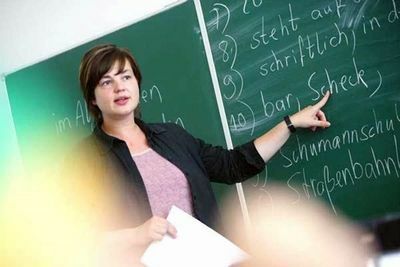 При выполнении контрольной работы следует учитывать общие требования. Письменная контрольная работа выполняется на отдельном листе А4 с печатью учебного заведения. В заголовке в правом верхнем углу указывается дисциплина, по которой выполняется контрольная работа, номер и наименование специальности, курс, группа и ФИО студента. Контрольная работа должна выполняться чётким почерком, аккуратно, без зачёркиваний и исправлений. При выполнении контрольных заданий необходимо оставлять поля (≈ 3 см) для замечаний и методических указаний преподавателя. Задания следует выполнять последовательно, задания надо списывать внимательно, указывая их порядковый номер. Выполненные контрольные работы студенты должны сдавать преподавателю для проверки в установленные сроки. Если работа выполнена не в соответствии с указанными требованиями, она возвращается студенту без проверки. 1. All forest resent institutions situated in __________ . 2. The gymnosperms are divided into ______ . 3. The size of the cells is variable with the range of _____ in diameter. 4. ______ grow in at least three directions: height, depth, width. 5. There are a number of forest ____ which train the men who look after Britain’s forests. II. Переведите текст и озаглавьте его. Russia accounts for one fourth of the global forest cover, with its forests being not only a national treasure, but also global value of paramount importance. The conservation and habitat value of Russian forests is very high. Temperate and boreal forests comprise a major stabilizing element of natural landscapes. They also protect soil against erosion, and perform such functions as resource conservation and water regulation and water regulation. Forests are called ‘the lungs of the planet’: they act as a sing for carbon dioxide and a source of oxygen. Forests are the natural habitat for about three fourths of all plant, animal and mushroom species on the Earth. III. Выпишите из текста глаголы и определите их время и залог. 1. What taxonomic groups of botanical classification do you know? 2. What are called annual rings? 3. What substance is called middle lamella? 1. Scientific potential of the Federal Forest Service of Russia is presented by ___ recent institution. 2. ______ are included in the class called angiosperms. 3. Decay in wood is caused by _____ . 4. A stem is also called ______. 5. There are over _______ species of trees in the USA. Large cities with thousands of smoky industrial enterprises appear all over the world today. The byproducts of their activity pollute the air we breathe, the water we drink, the land we grow grain and vegetables on. 1. What are the key directions of scientific research? 2. Where are large quantities of pectose found in? 3. The conifer trees are quick growing, aren’t they? - составить презентацию по лесной тематике (распределяется преподавателем) и быть готовым защитить её. 1. Каковы основные правила употребления артиклей? 2. Как образуется множественное число существительных? 3. Как образуются степени сравнения прилагательных? 4. Как образуются основные формы глагола? 5. Назовите вспомогательные глаголы в прошедшем длительном времени в активном залоге. 6. Как изменяется глагол в прошедшем завершенном времени? 7. Как образуется альтернативный вопрос? 8. Как образуется пассивный залог? 9. В чем отличие глагола to be от других глаголов при образовании условных предложений? 10. Какие формы имеет герундий? 11. Перечислите личные, притяжательные и возвратные местоимения. 12. Как образуются порядковые числительные? 1.Английский язык: Управляющий блок УМК для студентов специальности 260400 – Лесное хозяйство заочной формы обучения/ Сост. Сорокин Ю. В., Юрлова И.Б. – Йошкар-Ола: МарГТУ, 2003 г. – 44 с. 2. Голубев А.П. Английский язык: учеб. пособие для студ. сред. проф. учеб. заведений – 3-е изд., М.: Издательский дом «Академия», 2006 г. – 336 с. 3. Драгункин А. 53 золотые английские формулы. – СПб: «Умная планета», Издательский Дом «АНДРА», 2005 г. – 352 с. 5.Колесникова Н.Н. Английский язык для менеджеров: учеб. для студ. сред. проф. учеб. 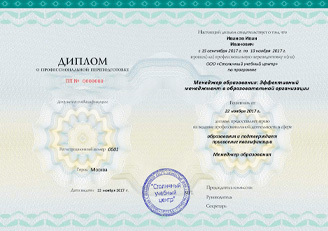 заведений – 3-е изд., М.: Издательский дом «Академия», 2008 г. – 304 с. 1510 – «Лесное хозяйство», вариант 3 – Москва, 1986 г. 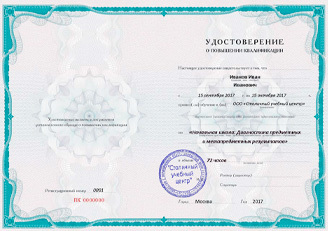 – 12 с. 7. Соколенко А.П. и др. Грамматика английского языка в таблицах. – АСМ, 1992 г. – 189 с. 8. Токарева Т.В. English for Foresters. Английский язык для специалистов лесного хозяйства: учебное пособие. – 2-е изд., испр, - Йошкар-Ола: Марийский государственный технический университет, 2009 г. – 220 с.
В современном мире всё активнее используются информационные технологии и компьютерные коммуникации, поэтому необходимы специалисты, обладающие не только компетенцией в сфере своей профессиональной деятельности, но и имеющие высокий уровень коммуникативной культуры на иностранном языке. В связи с расширением международных контактов обучение иностранным языкам становится обязательным компонентом формирования их профессионализма. При этом особое внимание уделяется английскому языку как языку международного общения. В настоящее время изучение английского языка студентами лесохозяйственных факультетов колледжей и техникумов осложняется ввиду отсутствия современных учебников, раскрывающих основные тенденции развития лесного хозяйства в мире. Цель данного учебно-методического пособия – способствовать приобретению студентами коммуникативной компетенции, уровень которой позволит использовать английский язык, как в профессиональной деятельности, так и для целей самообразования. Настоящее учебно-методическое пособие предназначено для студентов лесных техникумов и колледжей очной и заочной формы обучения, а также может быть рекомендовано для всех лиц, желающих повысить уровень владения английским языком. Данное пособие рассчитано примерно на 32 часа работы в аудитории и ориентировано на тех, кто имеет базовую подготовку по английскому языку. Пособие представляет собой комплекс тем, освещающих науку о лесе, мир флоры и фауны, проблемы экологии и окружающей среды, а также краткий грамматический справочник.